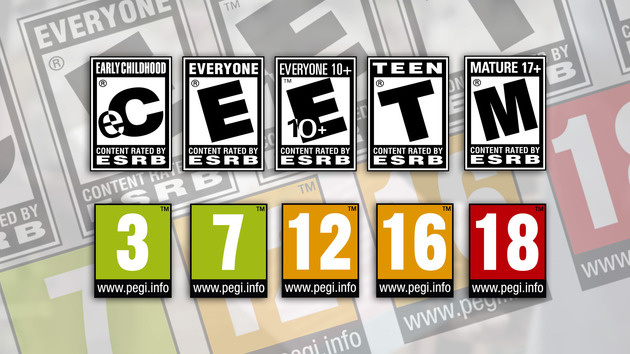 We've highlighted in the past how obtaining age ratings can be a complicated and expensive process for Indie developers on tight budgets. While the ESRB service in North America is free and based online, complaints over the slower processes in PAL territories - which also cost a fair amount of money and come in three regional variations - can lead to some games arriving later outside of North America or, occasionally, not at all. Just recently we also highlighted how Germany's own rating system - USK - is prompting some download developers to skip the country (while still publishing in the rest of Europe) due to a combinations of the costs of the process and low eShop sales. For small companies on tight budgets, it's clear that the ratings processes outside of North America are a notable issue. The positive is that - as previously reported - the eShop looks set to adopt the IARC (International Age Rating Coalition) system, which will allow for a quick, unified and simple process that's all completed online. As a result the old-fashioned approach with PAL ratings agencies of assessing physical copies of games will no longer be necessary. Though this is fairly well known, there is a positive update in the form of a USK statement, which has reiterated that organisation's support for IARC - the eShop is still listed as a platform that'll support the new system in the future. From a developer's and gamer's perspective this can't come soon enough; as the video below explains, everyone wins. So with this, you think its possible for Nintendo to get games like GTA? @Artwark Most likely GTA isn't on Nintendo consoles because the developers don't want to put it on Nintendo consoles. GTA was after all, on the DS, clearly Nintendo are open to it. @Artwark Nintendo can get games like GTA already - the DS even got an exclusive one (at the time). They get the same age ratings as any other console. It's developers who don't want to bring GTA to Nintendo consoles because they don't think it will sell. Oh, please tell me this'll help CIRCLE get more stuff to Europe without having to skip germany! I'm still somewhat cautious, but this might be the first time in a long while german bureaucracy doesn't ruin beneficial systems! In other news, a cry of "About time" echoes among gamers throughout the world. Over the course of 5 years in timely Nintendo fashion of course. I think that he should release say 2 to 3 games a week to help combat the game drought that's been plaguing Nintendo home console for the last 3 years. Wait, does this let the devs submit basically their own idea of what the rating will be or do they need to submit the actual game? If all they're doing is answering a bunch of questions then that's not right. Correct me if I missed something. If this really helps to get games here in Germany, that are allowed with no problems anywhere else, I more than welcome this new rating system. The USK is such a roadblock in that kind of way and ruined developers to publish their games here in Germany, while gamers never were allowed to play those games. I really hope that this change it all with IARC. This is great news all round, win win it seems, can't come in to effect quick enough! Thank god! Been waiting for this, maybe we'll finally get all those games we've been missing out on here in Germany. "As a result the old-fashioned approach with PAL ratings agencies of assessing physical copies of games will no longer be necessary." PEGI doesn't want physical copies of games, but DVDs with video material of the game. The USK on the other hand is completely satisfied with downloads for a long time now. Awesome! Maybe this means we'll actually get all those Renegade Kid games in Europe now! Good news. Hope it comes very very soon, just so Wales Interactive can release Soul Axiom and Infinity Runner for Wii U in Germany. The USK respondet to the problem of devs turning their back towards them ? I'm confused. The eshop still isn't listed as a participating store front, is the IARC actually something developers can use to get ratings for their games right now or just a nice idea that only two store fronts are actually supporting? Last I heard, IARC isn't coming to the eShop this year, so not going to get excited about it till it actually arrives. Maybe that is because e-shop third-party titles are ALWAYS to expensive! Either way, having 2 systems (Pegi and USK) in Europe is pure nonsense! Please stop with that!